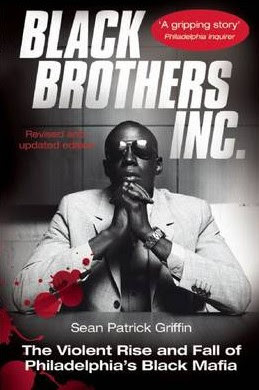 Some years ago I read an excellent book called Black Brothers, Inc: The Violent Rise and Fall of Philadelphia's Black Mafia by Sean Patrick Griffin. Griffin now offers a piece on the death of the founder of the Black Mafia for Philadelphia magazine. Sam “Beyah” Christian died last Sunday without so much as a single headline to note his passing. Two weeks shy of age 77, he had been in declining health and was living in a local nursing home. He happened to be one of the most feared gangsters in the history of Philadelphia. Christian was the founder of the city’s notorious Black Mafia, and under his leadership in the mid-1960s through the ’70s, its members operated a complex criminal enterprise wholly separate from the Italian Mob: numbers-running, drug trafficking, extortion and prostitution. Later, they’d develop high-level moneymaking schemes, tapping politicians for a cut of the windfall of federal funds pouring into impoverished areas. In consolidating power, Christian and his followers left a bloody trail of more than 40 bodies, including the decapitated head of a noncompliant drug dealer outside a North Philadelphia bar and the sawed-off hands of another dope peddler. On Tuesday, however, about 600 mourners at the Philadelphia Masjid mosque in West Philly paid homage to another side of Christian, known as Beyah. Imam Kenneth Nuriddin recalled how Christian loved his Islamic faith and instructed others in its practice in prison. Nuriddin asked Muslims “to pray for Beyah’s soul” and to “ask Allah to forgive him” so that he might enter Paradise. His friends on Facebook did the same.